Yoga or Pilates..what is the difference and what is better for me? Pilates is a series of exercises inspired originally by calisthenics and ballet. Pilates lengthens and strengthens all the major muscle groups in the body in a balanced fashion. It improves flexibility, strength, balance, posture and body awareness. Techniques focus on the development of core muscles (deep abdominal muscles and pelvic floor muscles) and builds movements for other parts of the body. Pilates consists of moving through a slow, sustained series of exercises using abdominal control and proper breathing. The quality of each posture is more important than the number of repetitions or how energetically you can move, hence proper supervision is paramount. Yoga is taught in classes, catering for beginners through to advanced practitioners. It is non-competitive and suitable for anyone, regardless of your age or fitness level. 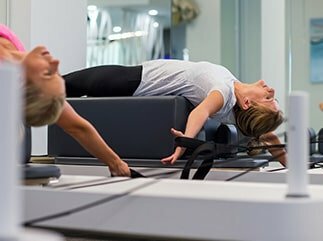 Pilates is suitable for those with weak, untoned, flexible bodies. As Physios, we treat alot of people with back pain and quite often the rehabilitation required for non-specific back pain is to either increase flexibility or improve muscle tone. After assessing you your Physio should be able to suggest whether your body type would suit Yoga or Pilates more. 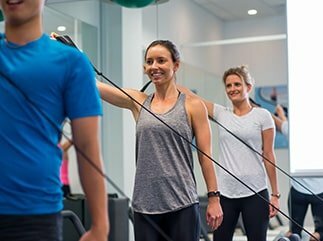 We of course offer Pilates classes under the guidance of our Physios here at SquareOne.